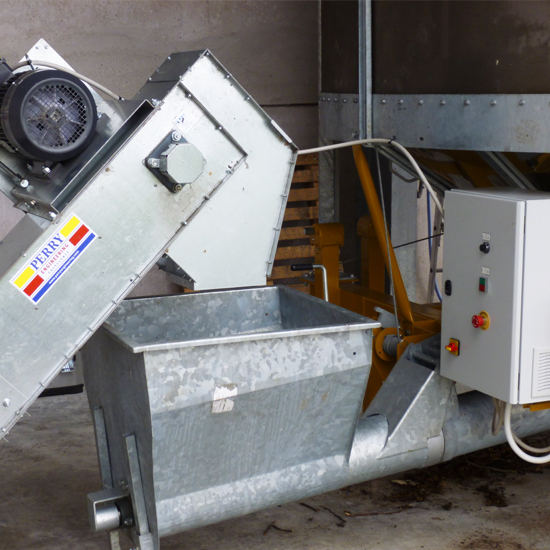 Grain Handling Equipment controlled by an automatic Mecmar mobile grain drier can eliminate crop re-handling making your life easier by simply arriving, tipping your produce off and then leaving – simple! 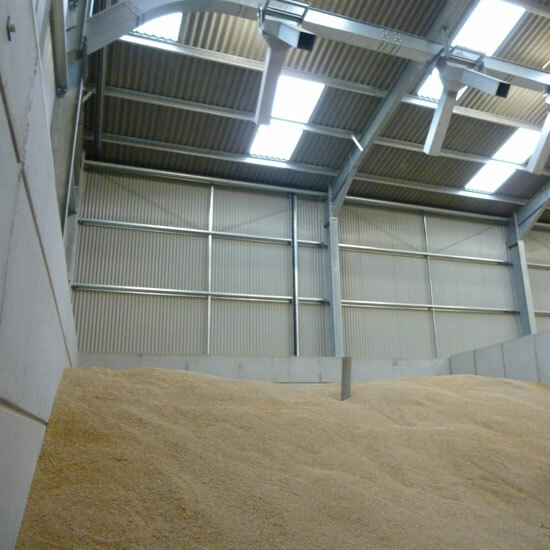 You may be looking to make a temporary wet storage area that the grain drier can then load from automatically, by using a trench intake conveyor. Or, alternatively you could even use a belt and bucket elevator chain and flight conveyor system which can then be used to take dry grain into the grain store. 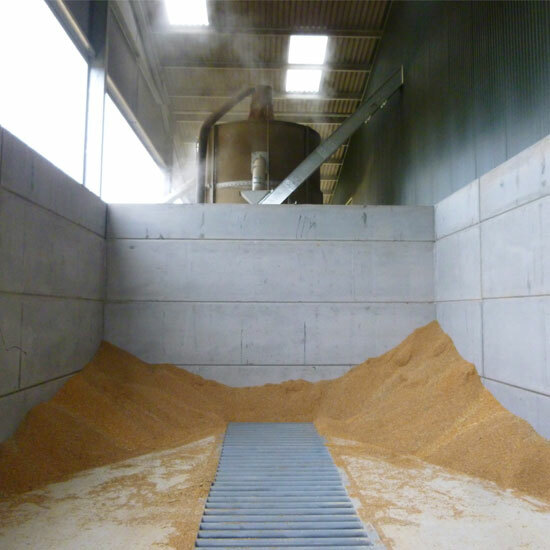 A simple grain auger solution can assist you in loading grain into a grain silo for longer storage. McArthur Agriculture’s technical and practical experience with grain conveyors, grain augers and grain driers enables us to work with you to install a simple, practical and effective system that will save you valuable time during harvest as well as giving you the most for your money. 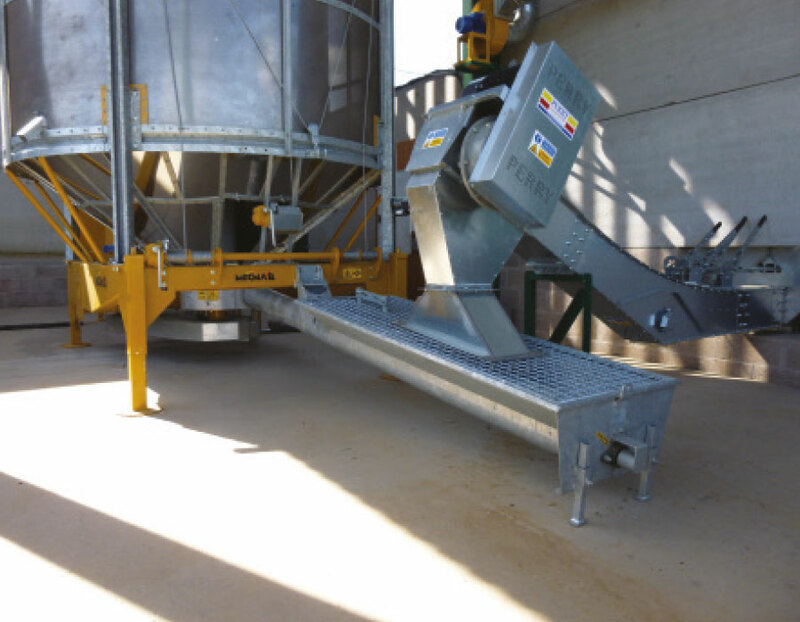 Contact McArthur Agriculture today for information on how we can tailor our grain handling equipment and grain conveyors to your specifications – creating a bespoke system that fits your needs.